Oh, it's you again, nice try, S.
It is. Wherever you got this, "Vimulator is no source" from, is NOT a source. My dad tells me that whatever the car does anywhere (or on any site), it will do the same thing here in real life. @ Jason: Vimulator is no source. @ Elise racer: You're right, but I wouldn't say always, I've heard scuttlebutt of a supercharged version of the 6.4 liter Hemi in the works. 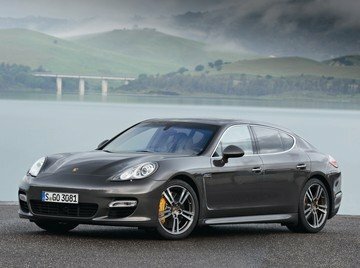 In terms of track performance the Porsche Panamera Turbo S is the fastest sedan in the world right now, there are other sedans that have it beat in top speed, but top speed isn't important on a track. Porsche will always be faster than Mopar!! The Panamera Turbo/Turbo S will always be faster than Chrysler 300 SRT8, as the Panamera S/4S/GTS will always be faster than Dodge Charger R/T, as the Panamera V6 will always be faster than standard Chrysler 300, 300C, John Varvatos Limited Edition, etc. 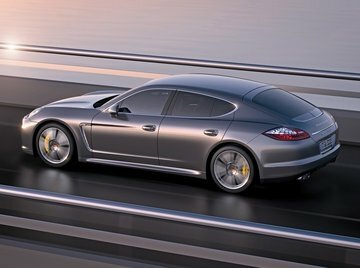 The Porsche Panamera has a unique look, I like it. i dont think that the panamera looks that bad. i have seen quite a few in reallife and they seem like a real headturner. i like them. SRT8, meaning the Dodge Charger and Chrysler 300 SRT8. 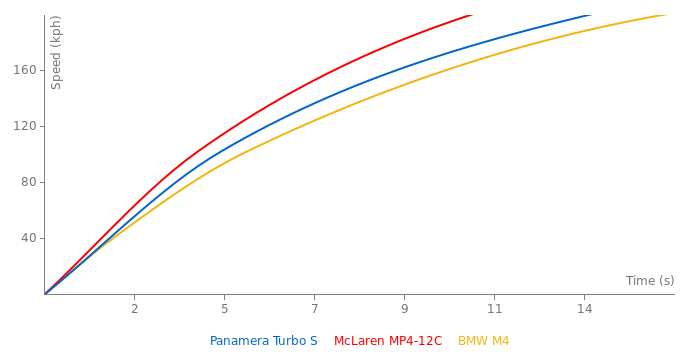 The Panamera GTS, Turbo, and the Turbo S are better than the SRT8, F10 M5, CTS-V, RS6, etc. 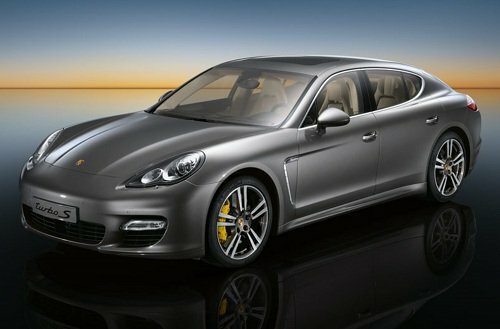 I heard that the Panamera Turbo S accelerates from 0-200 mph in just 15.1 seconds! Bone stock! The SSC Ultimate Aero XT is capable of 0-200 mph in 15.1 seconds, and the Bugatti Veyron Super Sport is capable of 0-200 mph in 22.2 seconds! £155,790...With the Competitors i listed, I wouldnt pay that price, Love the Turbo S, but with the gap so big between the M5, and CTS-V, S6, I wouldnt take it, want to but wouldnt. But theres also another Option to look into, the New Audi B8 RS4, £82,510 Fully, And theres a "Very" Good chance i "Might" take one over all those, the "Only" problem for me, is that its an Estate/Wagon, and that kinda kills my buzz, but definetly something to consider, atleast the wifes considering.. The S6 does start at £53,995, with all the options its £99,470, and i never have bought a car in standard trim., nor will in start. An F10 M5 starts at £73,040, but again, i never buy standart trim, and the M5 got to £97,330, which i think is better then the higher priced S6. And its not because Audi offers better equipment, but they have a bigger options list. I Have seen a Few CTS-Vs over here, not many, everytime i have found one, the prices were all over the place, anywhere from £40,000 to £70,000, All New...for the same equipment-_- I asked the dealer, but he wouldnt specify the difference in price from his competitors. Would have loved a Z06 but couldn't justify it since I need a sedan for the family. And that is the SAME reason why i have not been able to purchase a ZO6 or GT-R Over here, I currently have a 2002 Nissan i bought back in 02, for £25,400 from my dads friend, and i wouldnt Trade it for any car, along with a 2002 Mazda. You can find some Really incredible deals here if you know where tolook, specially on Japanese cars. I bought a slightly used CTS-V for $48k USD. I had to shop around for a while to find one that was the color I wanted and had the right options but it was worth the wait. I wont buy new because I put so many miles on my cars. Probably next to impossible to find a good used one overseas. Its a hell of a good car in all areas. Would have loved a Z06 but couldn't justify it since I need a sedan for the family. Handles and rides like a dream. We have terrible roads here and it smooths them out nicely. @BR2, what you are tolking about? Fully retrofitted S6 can cost more because Audi gives you better equipmen. Theres also the competitors to look at, the CTS-V and M5(I wouldnt get the E63, too ugly for me) The S6 is an option to...but, coming in at £99,470...yeah i dont think so..Then theres the M5, £97,330, Cheaper then S6.. So its the M5 so far. Then theres the CTS-V,(The UK Cadillac site is horrid, so im using the US one), $72,460, Or £48,580, £55,215(Too be safe) its looking like the V will save you a hell of alot, however, its not completely on how much you Save, But still, the Turbo S is going over £150,000 Fully, n thas quite alot..is it worth triple the Cadillac? Dunno, Ive been in a normal Turbo, and thought it was worth just about every penny, But not Triple a V, but its getting so expensive. If i was going for interior, its a VERY hard choice choosing between a V and Panamera, Comfort id give the Caddy in my own exp, however, ive really never had a problem with comfort in any car. But i tell you what, I would chose the Quattroporte S Sport GTS over any sedan that has ever existed, regardless of price, £130k or so, It is just such a Beauty to look at, specially with all YOUR options, Black With WHite Interior! In my eyes, those others are Obsolete. The weight is 1995 kg. Please add it. I just Built my Porsche Panamera Turbo S on Porsche, And it cost $256,090Usd fully loaded(Gringe)...Quite alot of Money..
Ps..My Veriification code was Asstickler...Hilarious.. What is it with Nordschleife laptime? Is this Panamera slower than itself in 0.20 seconds?? ?